Pepperstone is an Australian-based online forex and Contracts for Difference (CFD) brokerage firm. CFDs allow traders to speculate on the price of assets without actually owning them in their accounts. The firm provides its customers a “No Deal Desk” model, which eliminates conflicts of interest brokers have with their customers. Instead, customers have direct access to liquidity sources in the interbank markets. Pepperstone provides its customers with quotes from as many as 22 major banks and Electronic Crossing Networks. Pepperstone customers can trade on either the MetaTrader 4 (MT4) suite of platforms or the cTrader suite of platforms from Spotware Systems: cTrader, WebTrader, cAlgo and cMobile. Traders have access to markets in forex, stock indices, precious metals, energy and cryptocurrencies. Pepperstone has been recognized by industry groups for its superior product offerings and services. The firm won the Governor of Victoria Export Awards in 2017 for Exporter of the Year and for Digital Technologies. 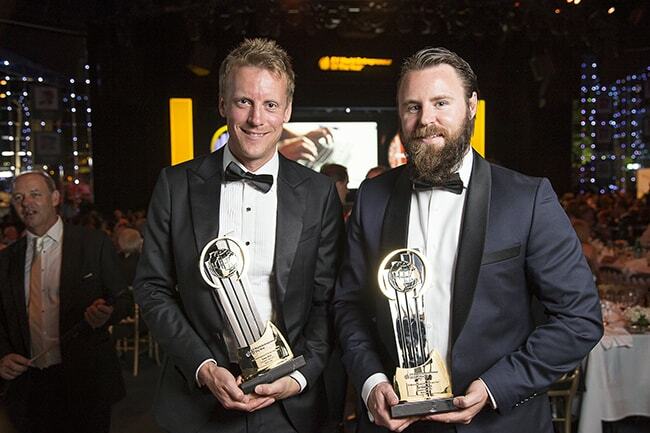 The Australian Growth Company Awards recognized Pepperstone in 2017 with awards for Growth Company of the Year and Financial Services Growth Company of the Year. In 2016, Australia FX Report ranked the broker number one in eight categories including overall client satisfaction, spreads and platform reliability. Pepperstone offers customers a reliable and regulated way to trade both CFDs and forex. Customers seeking a low-cost broker with fast execution and great customer service may want to consider Pepperstone. Please remember, while Pepperstone is a responsible broker, losses can still exceed deposits. CFD trading is for experienced traders. This review of Pepperstone will cover all of the important details about the broker and discuss its major advantages and disadvantages. What Could Pepperstone Do Better? Pepperstone was founded in 2010 in Melbourne, Australia, by Owen Kerr and Joe Davenport. The duo founded the brokerage firm because they felt many traders were frustrated with delays in trade execution, excessive spreads and poor customer-support at other online firms. Over the last few years the firm has grown to be a major player in the online forex brokerage industry. Pepperstone processes an average of US $5.8 Billion of trades every day and serves over 75,000 clients across the globe. In 2016, Australian investment firm, CHAMP Private Equity, made a strategic investment in Pepperstone. The relationship is expected to help Pepperstone expand its reach globally. Pepperstone Group Limited is registered in Australia and is licensed and regulated by the Australian Securities and Investments Commission (ASIC) (AFSL No.414530). Pepperstone Limited is registered in England & Wales (under Company Number 08965105) and is regulated by the Financial Conduct Authority (FCA) (FCA registration number FRN 684312). Pepperstone provides customers dedicated 24-hour customer support. Traders can contact Pepperstone customer service by local or international phone, fax, email or live chat. Traders can also fill in an online form to leave a callback number and/or email for Pepperstone to contact them. Pepperstone serves clients in countries across the globe. Pepperstone is a trustworthy company that is registered with two major international regulatory bodies. Pepperstone is regulated by the Australian Securities and Investment Commission (ASIC) in Australia (AFSL No.414530). The Financial Conduct Authority (FCA) regulates the firm in the United Kingdom (FCA registration number FRN 684312), while the Markets in Financial Directive (MiFID) allows the company to operate as a regulated entity throughout the European Union. Financial Services Compensation Scheme (FSCS) may cover up to £50,000 if Pepperstone fails. The UK’s Financial Conduct Agency (FCA) regulates Pepperstone’s activities in the United Kingdom. The FCA is widely respected as a leader in financial regulation. In addition, the United Kingdom scores highly in Transparency International‘s rankings of countries based on their corruption perceptions index meaning the UK is a pillar of anti-corruption. Pepperstone’s customers in the United Kingdom are protected by the UK based scheme Financial Services Compensation Scheme (FSCS), which was established to protect consumers when authorized financial services firms fail. FSCS pays compensation up to £50k to customers in the United Kingdom if Pepperstone is unable to pay. Pepperstone’s Financial Services Register reference number is 684312. The Australian Securities and Investments Commission (ASIC) covers Pepperstone’s activities in Australia and other countries. ASIC’s oversight of Pepperstone means that client money is held in a trust and completely separate from Pepperstone’s own money. ASIC requires financial services firms to meet strict capital requirements and to implement and comply with internal procedures including risk management, staff training, accounting and audits. Unlike other jurisdictions, however, traders covered by ASIC regulations have no additional compensation scheme in place to cover their deposits. That doesn’t mean it isn’t safe to deposit with Pepperstone if you’re in Australia or another country covered by ASIC. Rather, you are offered only the legal protection afforded by the Australian legal system. That being said, money held in trust in Australia is highly regulated and covered by the Corporations Act. Pepperstone’s Australian Financial Services License reference number is 414530. The Group Chief Executive Officer of Pepperstone since October 2017 is Tamas Szabo. Tamas is the former Head of Asia Pacific for IG Group and previously served as Managing Director for their Australian operations. He has been a key figure in successfully developing retail FX and CFD trading in the Australasian region since 2007. Tamas has a degree in mechanical engineering with business finance from University College London and London School of Economics and an executive MBA from University of NSW's Australian Graduate School of Management (AGSM). Andrew Defina has served as CFO of Pepperstone since 2014. He previously served as a Director at Headland Capital Group from 2013 to 2014. Prior to that, Andrew was a Managing Director at UBS Investment Bank and Deutsche Bank. He received a Bachelor of Commerce (Hons) in Accounting and Finance from University of New South Wales. Pepperstone’s founders, Owen Kerr and Joe Davenport, serve as Directors on the Board of Pepperstone. Pepperstone offers customers CFD trading in over 72 asset classes from across the globe in the categories of forex, commodities, futures and indices. The broker incorporates trade execution, with pricing from 22 banks and liquidity providers and 100% automated execution. The following are the products and spreads offered for trading with the two types of accounts (please see Account Types section of this review). Pepperstone offers a standard STP account and a razor account, which offers flexible leverage and advanced algorithms that route trades with lightning fast execution speed. The broker also offers an option to open an Islamic Account, which is compliant with Sharia law. High volume and institutional traders have additional services available to them including a dedicated relationship manager and advanced reporting. Traders can also open a demo account, which is loaded with $50,000 in practice funds. The underlying financial instrument and the type of account determine the Pepperstone spreads that traders pay. Please see the Pepperstone Trading Products section for more details. Commission Fees: Pepperstone charges commissions to clients with Razor accounts, but with other accounts, the broker receives its compensation through the bid/ask spread. Deposit and Withdrawal Fees: The broker does not charge deposit or withdrawal fees to clients. However, payments to and from international banking institutions may attract transfer fees from either party, which are independent of Pepperstone, and clients are responsible for these fees. Choose the currency pair you wish to check and select Properties. Inactivity Fee: Pepperstone does not charge inactivity fees. However, after 3 months of no activity on the accounts, Pepperstone will temporarily archive accounts. If you need to access your account again, you have to contact support@pepperstone.com to reactivate it. Pepperstone never permanently closes accounts down due to inactivity. When you click on the blue “Sign Up” button on the Pepperstone website, the broker asks you to enter your name, email and a mobile number. Pepperstone then sends you an email to confirm your account and begin the application. Pepperstone asks you to fill in some basic details and pick a password for your account. The username for your account is the same as your email address. On the next screen, Pepperstone asks you to choose your account platform – MetaTrader4 or cTrader – and the leverage on your account. Pepperstone offers leverage up to 1:500. You also pick the base currency on your account. You're then asked a series of questions about your employment, financial status and trading experience. To proceed, you'll need to confirm that you have read their order execution policy, risk disclosure policy, and terms and conditions. To pass their identity verification, you can choose electronic or manual verification of your identity and address. To complete the manual verification, you will need to upload documents to establish your identity and/or address. You can drag and drop these documents on to the application form or upload them through your mobile device. Option One: 2 Photo IDs such as Passport and Driver’s License. Option Two: 1 Photo ID and 1 Proof of Residency Document (such as your most recent Bank Statement or Utility Bill). If you are not able to upload your documentation, you can email the documents to backoffice@pepperstone.com 24 hours a day, 7 days a week. Pepperstone estimates approval time for account within Australian business hours of 6 to 12 hours. Pepperstone requires a minimum deposit of £200 for clients in the United Kingdom and 200 units of other base currencies. Pepperstone clients must adhere to margin requirements. Margin is the amount of money required in your account in order to open a trade. You can calculate margin using the current market quote of the base currency vs USD, the volume requested, and the leverage level you have selected when opening your account. The dealing software will not allow you to open a position if you do not have sufficient free margin available. Your free margin is indicated in the MT4 trading terminal. Traders who fall below the Pepperstone margin requirements risk receiving a margin call and having their position closed prematurely. Pepperstone does not charge any fees to withdraw funds from your account. Funds can only be returned to a bank account in the same name (or joint) as your Pepperstone trading account due to third party transaction regulations. Credit card withdrawal can only be used for the deposit amount made using a credit card – for amounts above this a different withdrawal method must be used. If an account is funded via credit card and a withdrawal is processed within 60 days, the withdrawal must occur via a refund back to the same credit card. Any International Telegraphic Transfer (TT) Fees charged by Pepperstone’s banking institution are passed onto the Client. Most International TTs are approximately AUD20. Withdrawal forms received before 21:00 GMT (07:00 AEST) will be processed that day. Any forms received after this time may not be processed until the following day. Pepperstone advises that there may at times be unforeseen circumstances whereby withdrawal times may be longer. Pepperstone offers traders two platforms for trading forex and CFDs: the very popular and versatile MetaTrader 4 (MT4) and the equally customizable cTrader suite of platforms. The MT4 platform is probably familiar to traders that have traded with the many other MT4 brokers. You will see under the Market Watch panel that Pepperstone gives you access to all of the trading instruments that the broker offers. Below the Market Watch panel is the Navigator section that gives you access to customized technical indicators, Expert Advisor tools and scripts for automated trading. In the middle and right you will find the Chart Window – the technical and charting section of the platform that opens with four charts. On the bottom of the screen, you will find the Terminal Window Panel, which contains a mailbox, an alert tab, a journal tab and other features for tracking trading. Pepperstone also offers Smart Trader Tools, an MT4 add-on with tools such as sentiment indicators. Clients with an account balance of at least $500 AUD can access this features. Pepperstone traders will notice that their EDGE Environment allows for very fast trade execution and tighter spreads. The EDGE integration with MetaTrader allows Pepperstone to route your order to the most favorable venue for execution. The Pepperstone MT4 platform also incorporates price improvement technology to help reduce the cost of trading. These features will be welcomed by active traders looking for a slight edge wherever they can find it. Traders can either download the desktop version or log in to the web version of cTrader. Combined with the suite of algo trading tools, cTrader offers a powerful platform for social and automated trading. 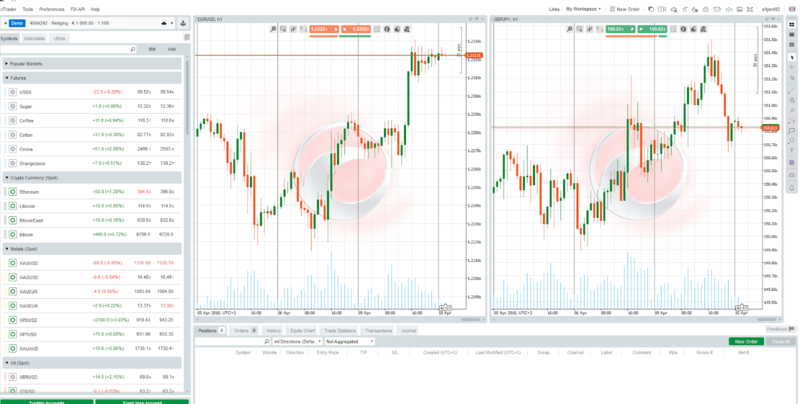 Traders with Razor and Standard accounts can use both the MT4 and cTrader platforms. We think Pepperstone offers traders two powerful and customizable ways to execute an array of different trading styles. Demo accounts come with $50,000 in practice funds, but expire after 30 days as standard. 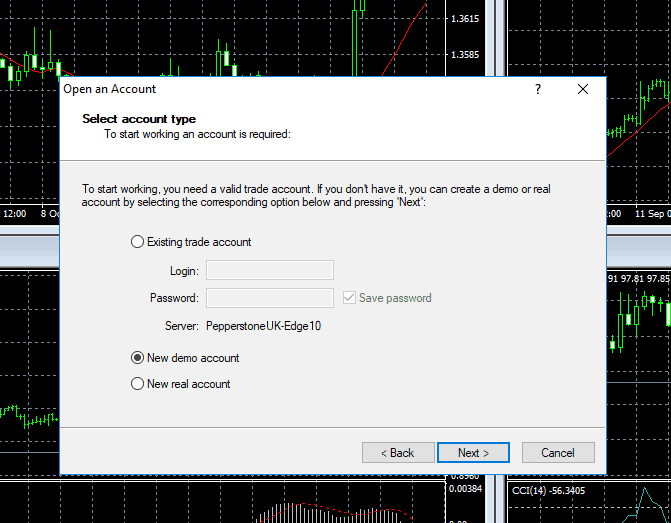 To get a new demo account, in the MetaTrader 4 platform go to File>Open an account and you can generate a new login and password. You do not need to download the platform again. Pepperstone has an education section under the Client Resources tab of its website. The section seems like standard trading website fare, and we wish there were more comprehensive research tools geared toward automated and social trading strategies. Traders have several ways to learn about Pepperstone and trading. Articles: The broker provides articles on trading forex, including pieces covering terminology, fundamental and technical analysis and order types. Webinars: Traders can sign up for these detailed online seminars that cover many different areas of forex. Trading Guides: Pepperstone publishes a wide array of trading guides that cover topics of interest to its customers. Support: This section offers troubleshooting advice on the broker’s platforms and other topics. FAQ: A section covering common questions regarding trading with Pepperstone. Trading Glossary: Definitions for some commonly used terms. There is also a Trading Essentials section under the Client Resources tab. This section has a Market Review with articles on topics moving forex markets, an Economic Calendar and a section on the Pepperstone technical analysis software. Pepperstone also offers several third-party social copy-trading platforms and research tools including Myfxbook, ZuluTrade and Mirror Trader. We wish the broker did a better job supporting these tools with research and tutorials. 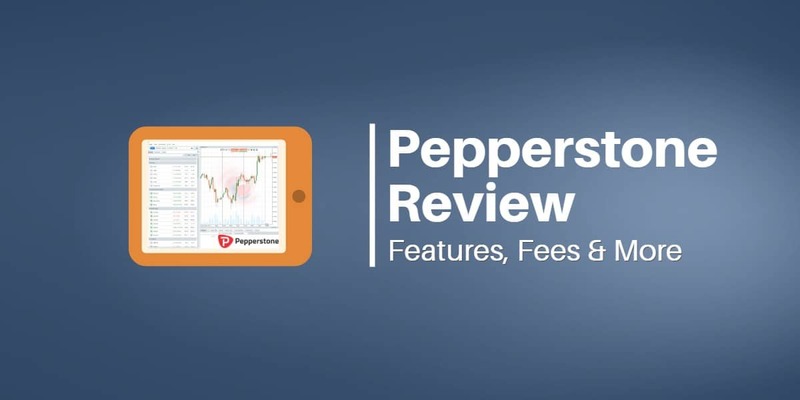 Pepperstone also offers AutoChartist to live account holders, which is a tool that helps with automated pattern recognition and trading signals. Like many brokers regulated by top-tier regulators such as ASIC, Pepperstone does not offer sign-up bonuses to new customers due to the legislation in place that prevents them from doing this in order to create transparent trading markets. However, Pepperstone does have a Refer-a-Friend program. The aim of the program is to reward clients who encourage their friends or family to sign up for a Pepperstone account. If you refer a new client to Pepperstone who funds their account with more than AUD $1000 (or equivalent) and trades at least 5 standard FX lots, Pepperstone deposits AUD $100 (or equivalent) into your trading account.